This past season of Counting On: Jill and Jessa really should have been called simply Counting On: Jinger. 22-year-old Jinger Duggar became the star of the show when she started courting former pro soccer player Jeremy Vuolo who is now a minister. 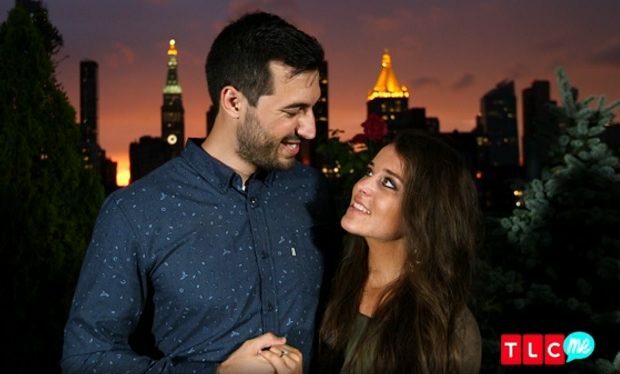 Duggar fans love a pregnancy (Jessa is expecting her second) but let’s face it, Jeremy’s surprise proposal in New York City was a show-stealer. The weekend before Election Day, Jinger and Jeremy got married. According to People magazine (the family’s go-to for exclusive stories), the young couple got married in Solam Springs, Arkansas in front of “about 1,000 guests.” Jeremy’s father Chuck officiated. And yes, the wedding kiss was reportedly their first kiss.